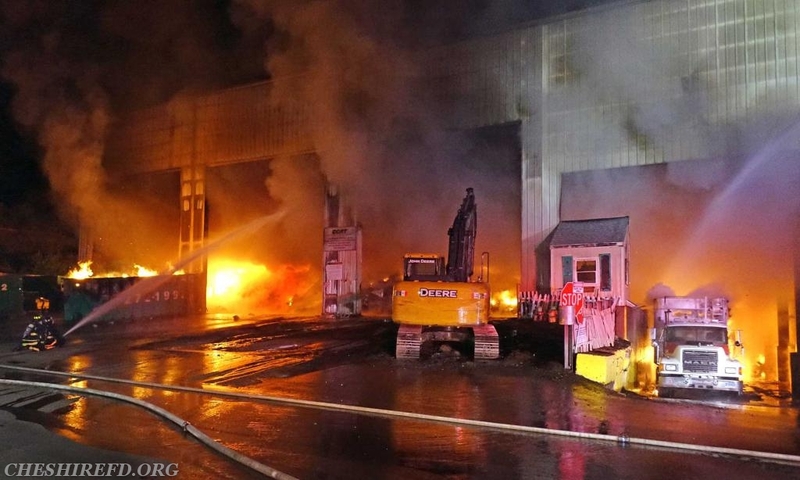 Additional firefighting resources from the Town of Southington were also requested to assist at the scene. 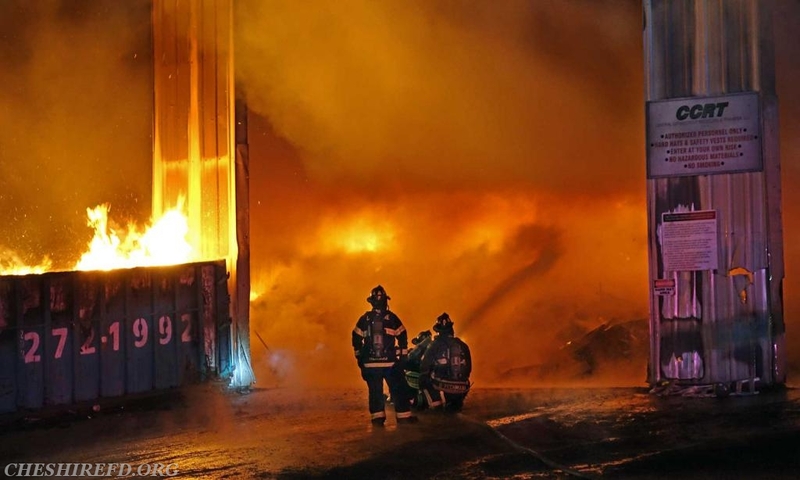 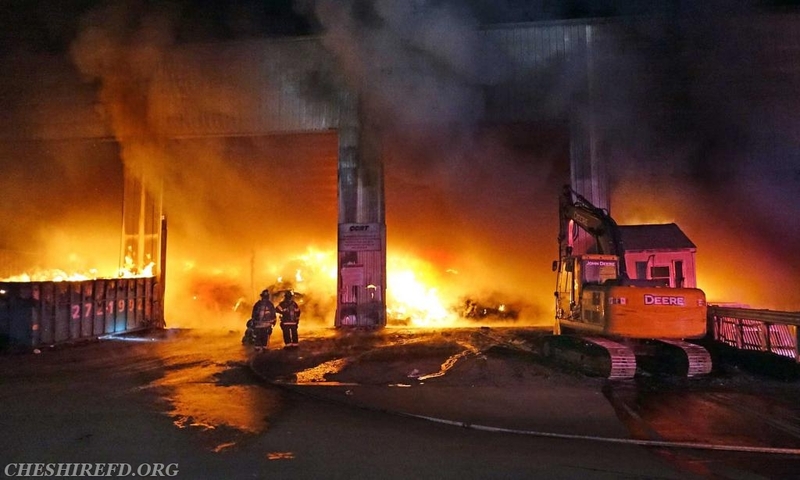 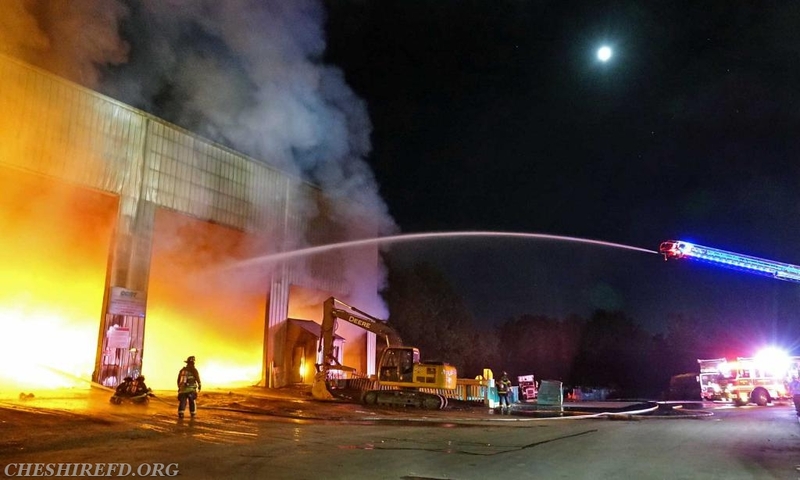 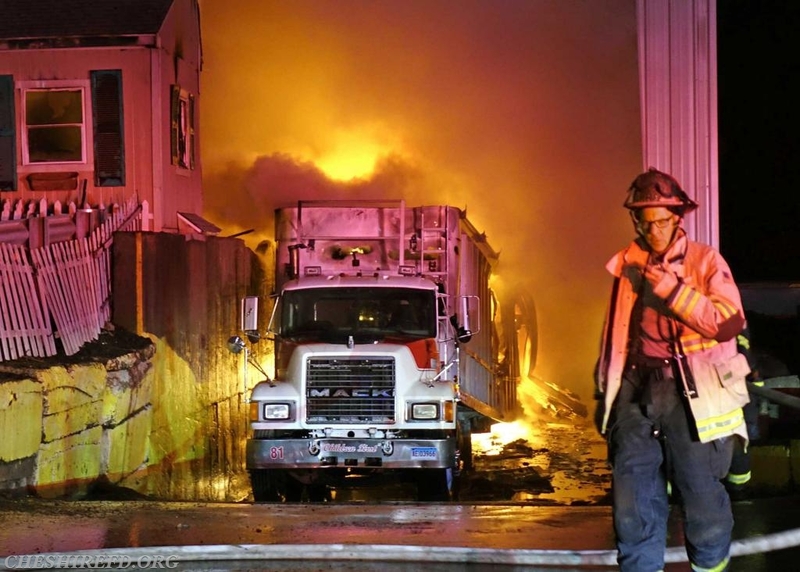 Due to the types of materials burning and the deep-seated location of the fire, personnel from Cheshire and Southington remained on scene for several hours to assure that all areas of fire involvement were extinguished. 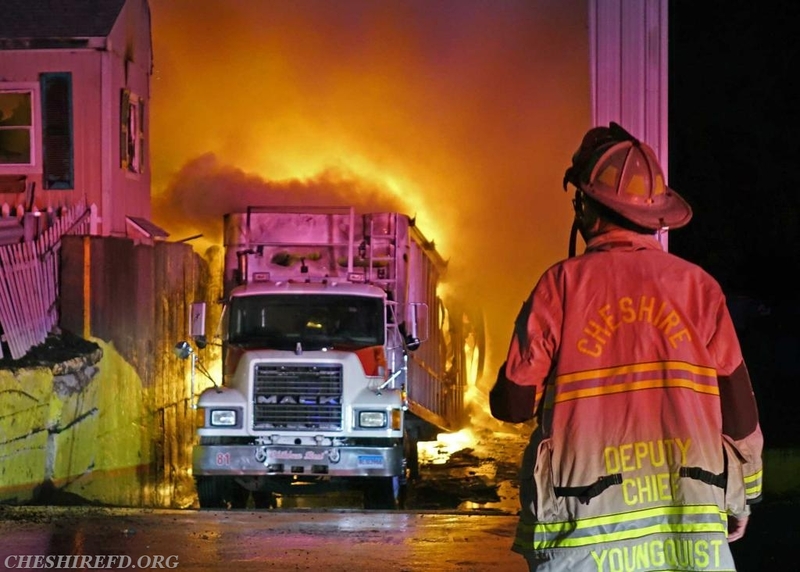 Firefighters from the Town of Prospect provided assistance by remaining on stand-by at Cheshire Fire Headquarters throughout the incident. 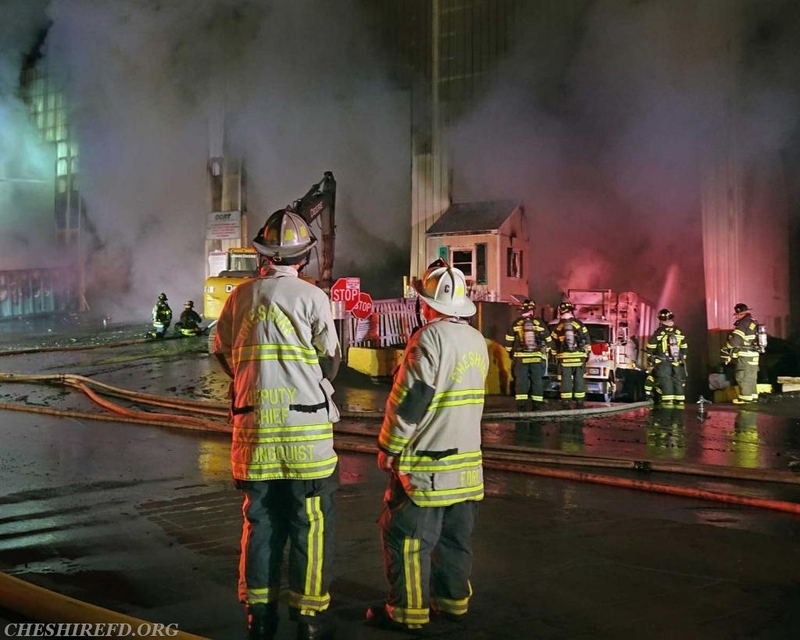 Our sincere thanks and appreciation to the Southington and Prospect Fire Departments for their assistance.